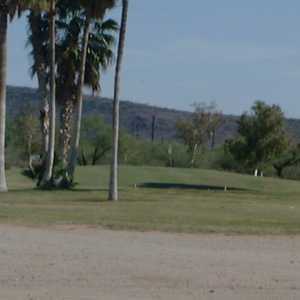 The 9-hole Ajo Country Club in Ajo, Arizona is a semi-private golf course that opened in 1940. 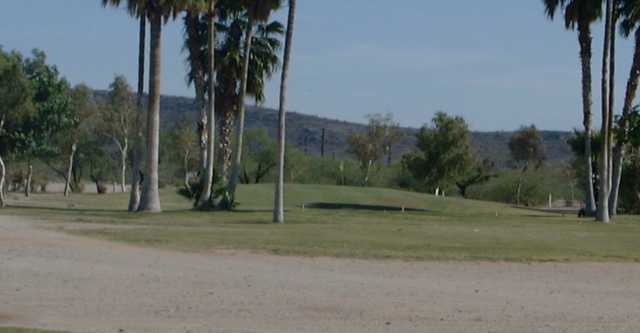 Ajo Country Club measures 3093 yards from the longest tees and has a slope rating of 111 and a 34.2 USGA rating. The course features 2 sets of tees for different skill levels. I am Dr.peter jack son dan Margaret University, UK. I want to make booking for 10 guests. Our 10 guests will all come for Golf Course from October 15th to 22nd 2010(7 days) by 1.30pm each day. Get back TO me with your service cost if there is availability. I hope you do have a Credit Card machine for Credit Card charges as regards payment. I also want to know the type of Credit Cards you accept for payment. If you do we need 5 double rooms starting from October 15th to 22nd 2010 that is 7 days.